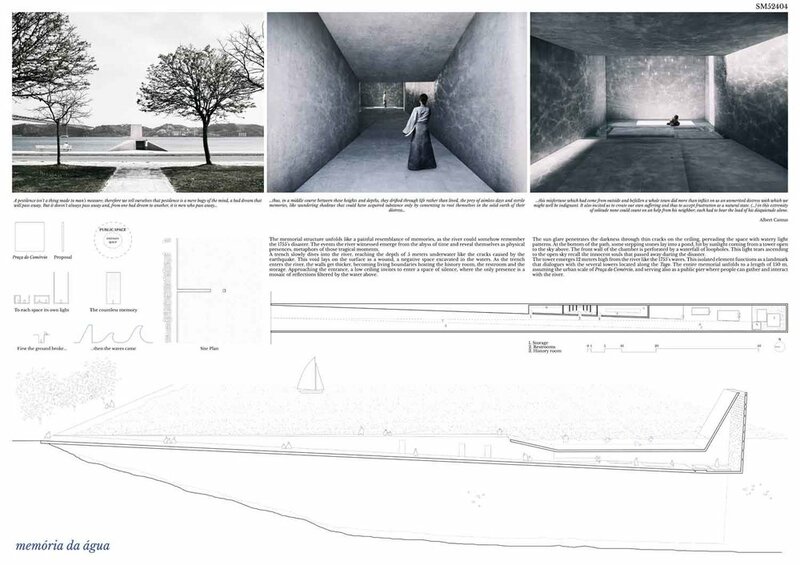 The project demonstrates a very sensitive approach to the site. 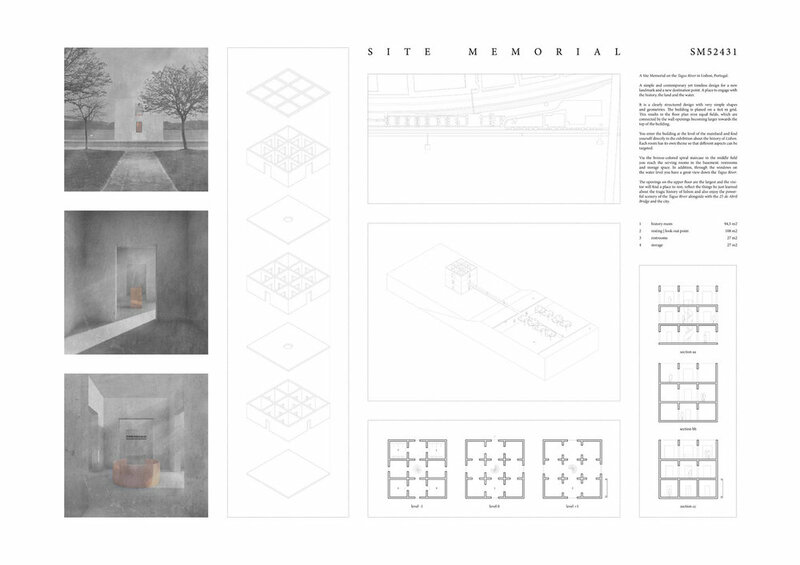 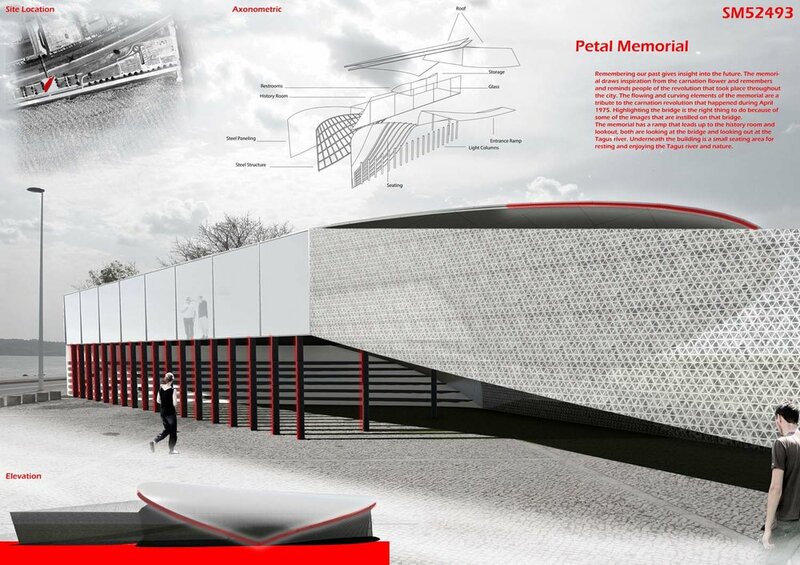 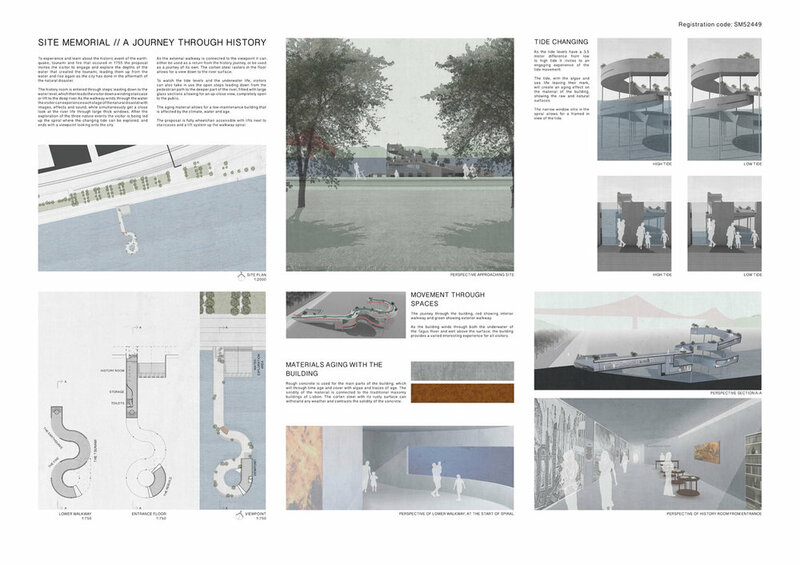 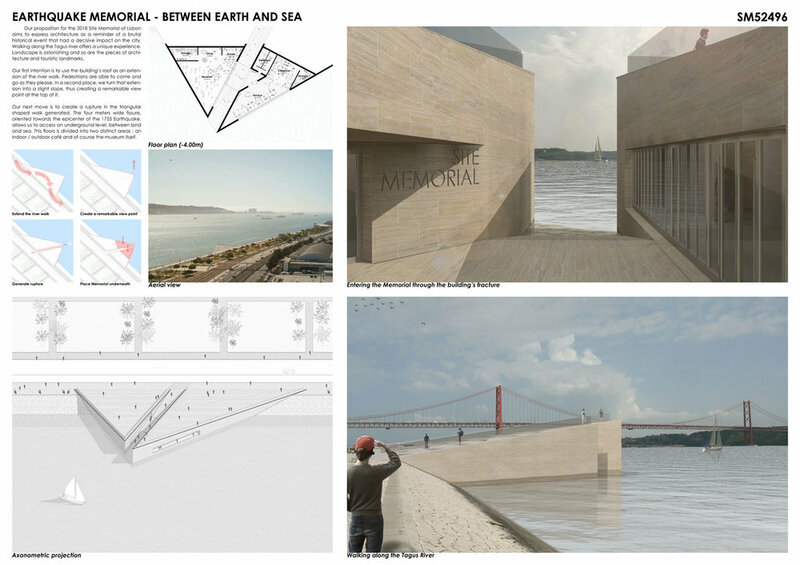 It designs a new topography and it offers the citizens not only a memorial, but also a real gathering place. 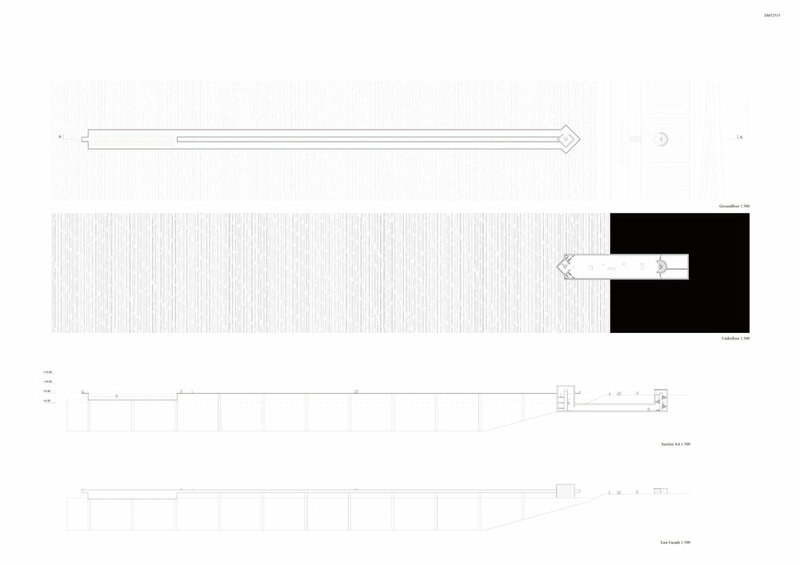 The idea display a strong capacity for synthesis, because it contains simplicity, precision and a strong soul. 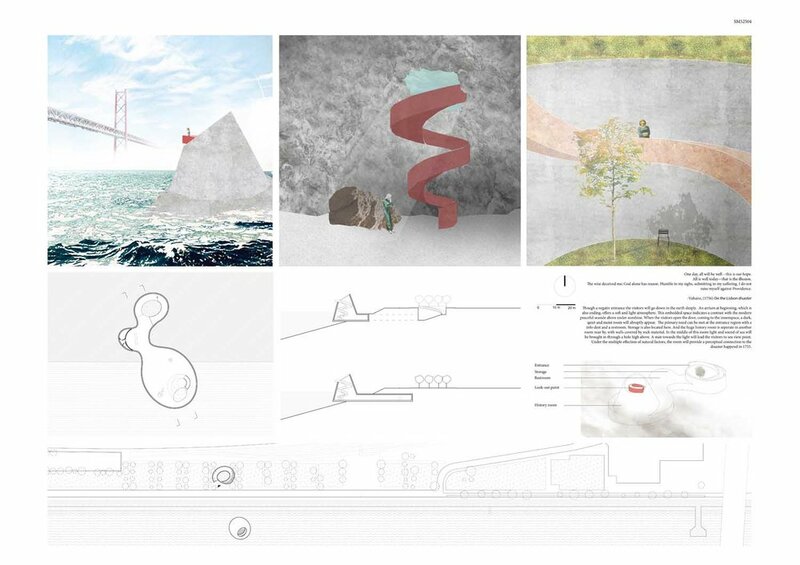 The park is in itself a great way to make people stop, take a break and enjoy. 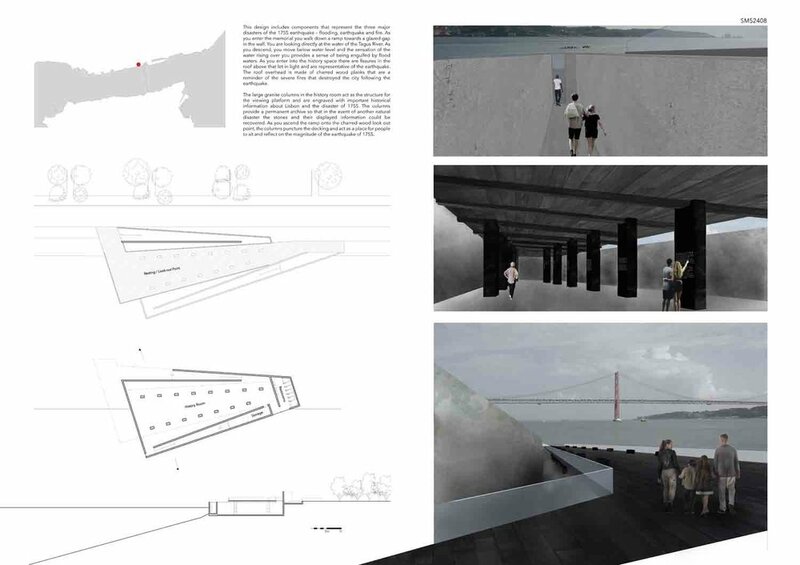 Great approach towards the water, it really gives the users the freedom to wander around. 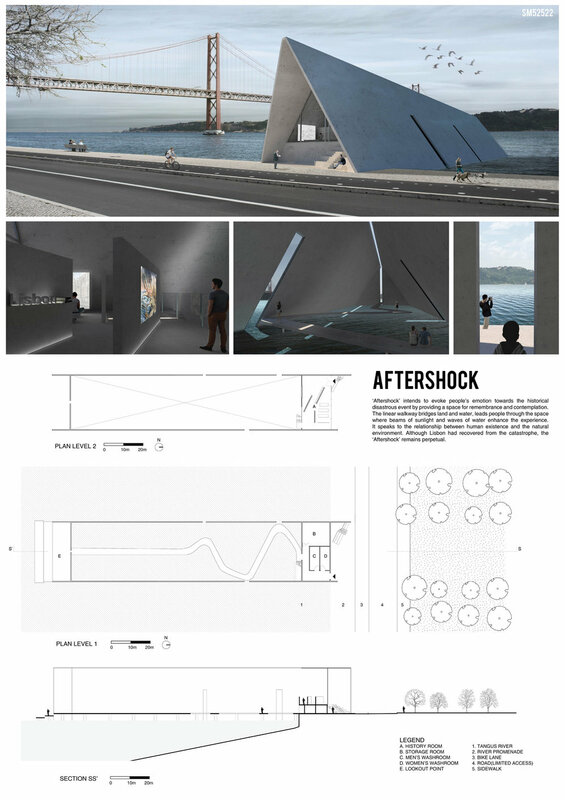 Lots of things can happen around this place without the feeling that you are being driven towards something. 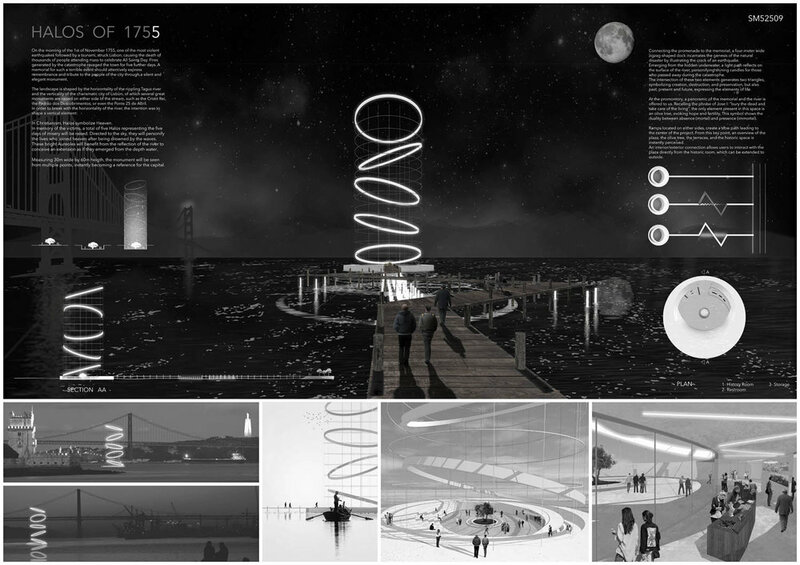 I like the ups and downs you get when you are in the circle, and the feeling you get as you move around it. 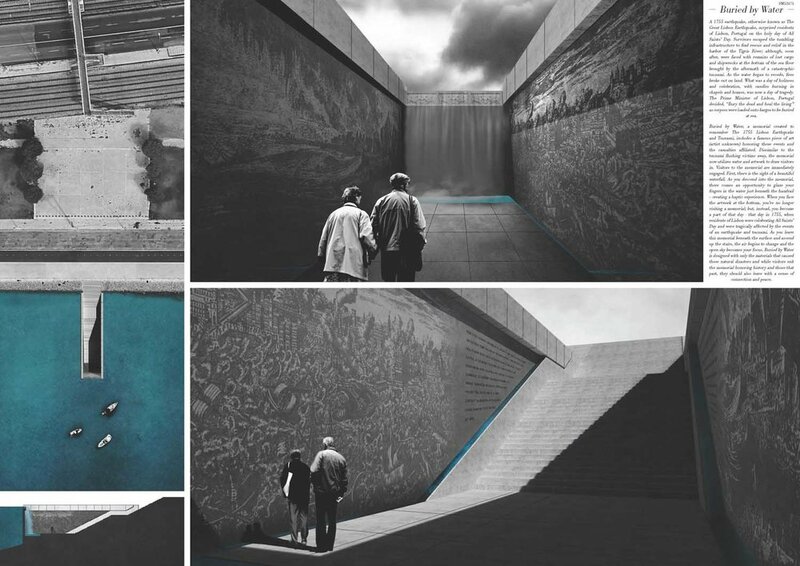 Every step might be a all new feeling. 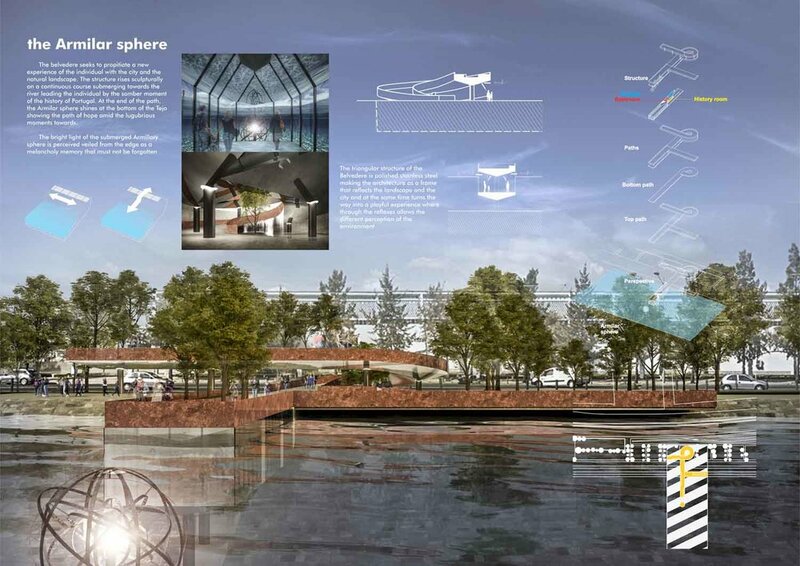 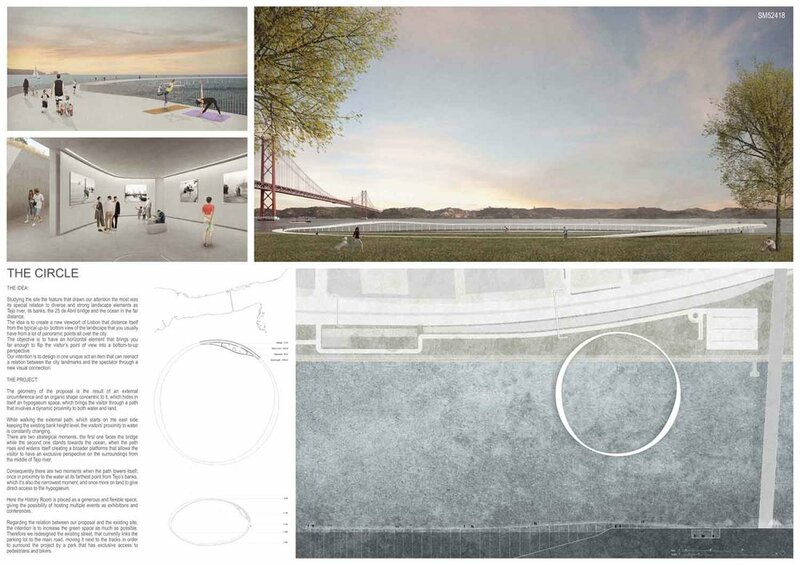 ‘The Circle’ is a clear and compelling proposal for a new type of memorial; a hybrid of leisure infrastructure and museum. 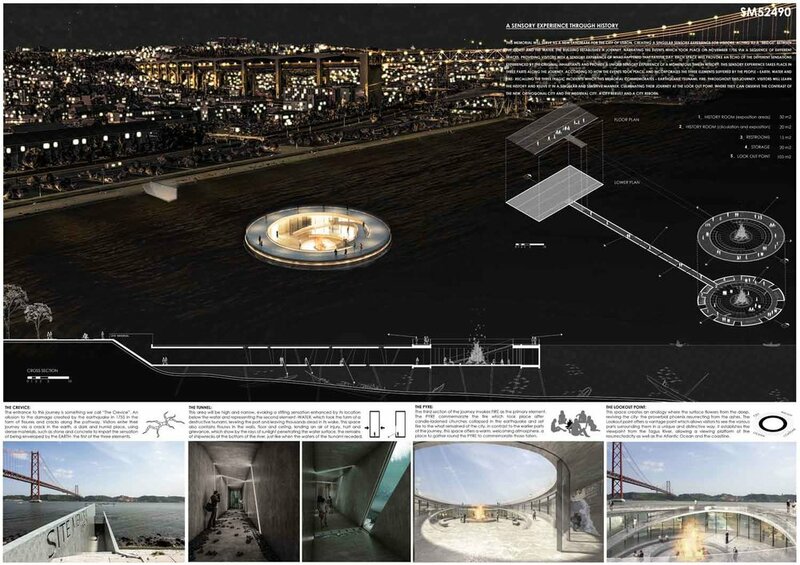 The elegantly articulated circular walkway is a welcome punctuation mark on the riverbank, spanning elegantly between land and water and offering an attractive new space to enjoy and to remember. 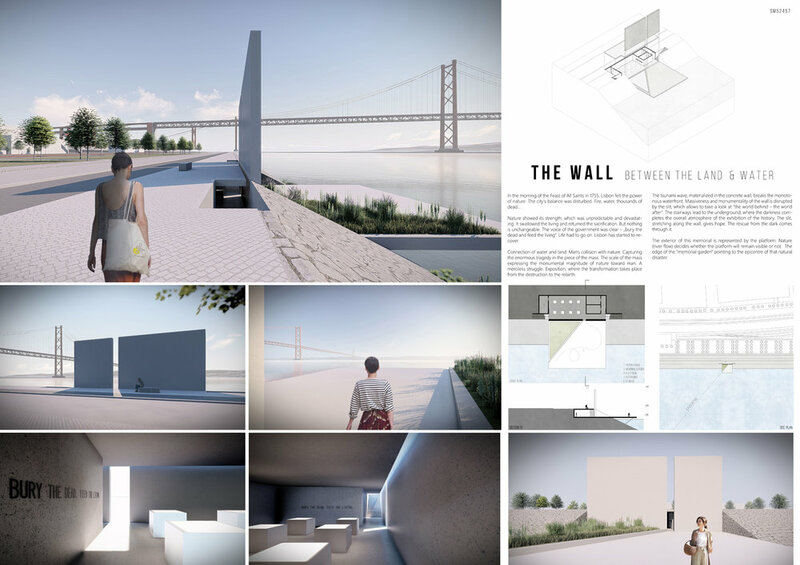 The project demonstrates a careful reading of the “border” theme, establishing a strong link with the river. 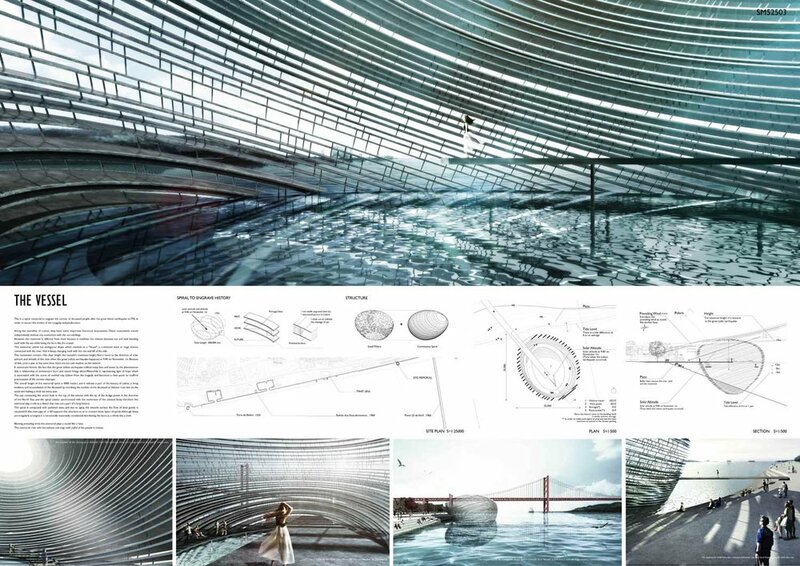 The work on the bathymetry of the water is of strong effect and iconicity, because of its capacity to produce a multitude of spaces, from time to time different and evocative. 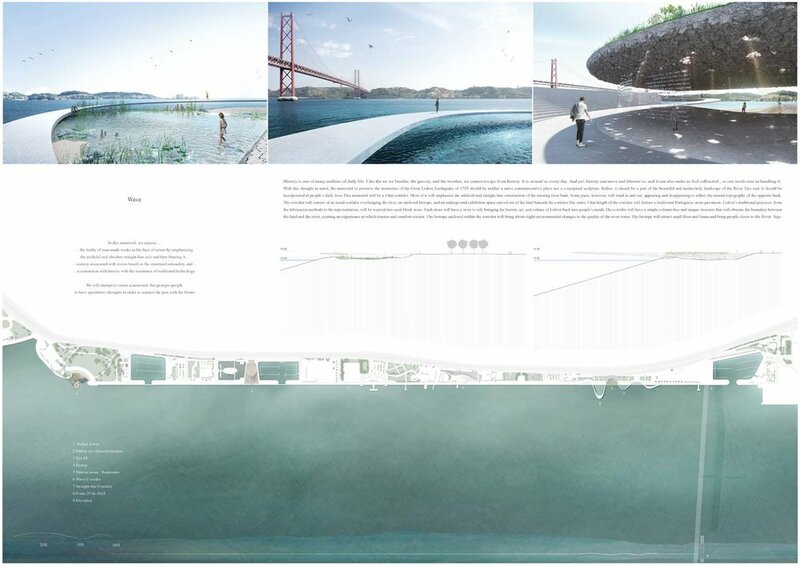 Great way to break the boundary between the land and the water. 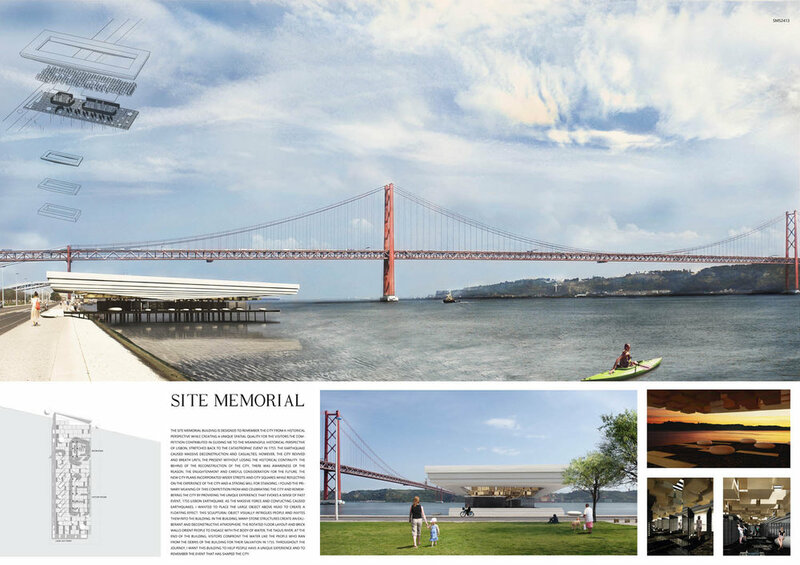 Every time you visit the memorial will be different than the one before. 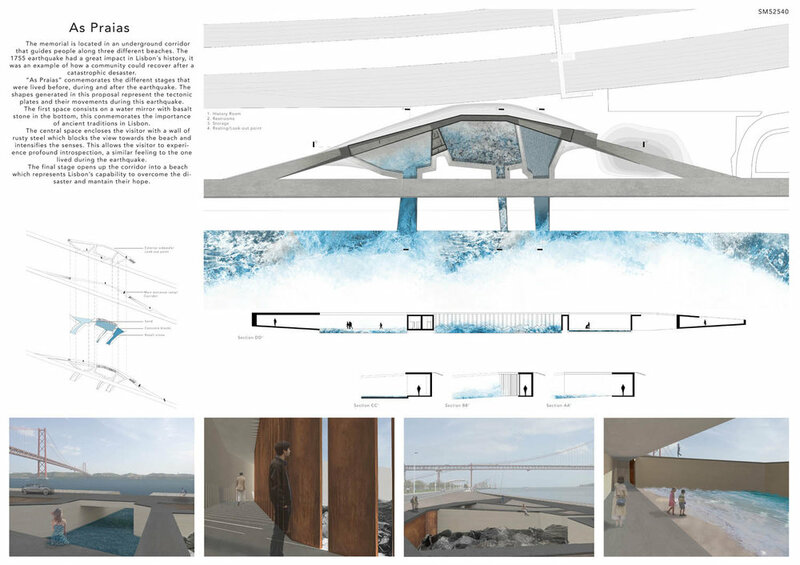 A nice way to let people understand the water ́s behavior and its effects. 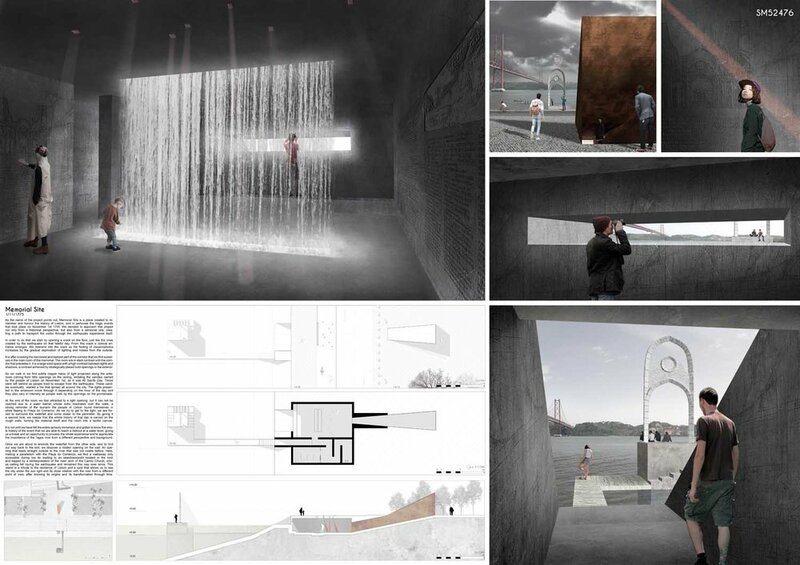 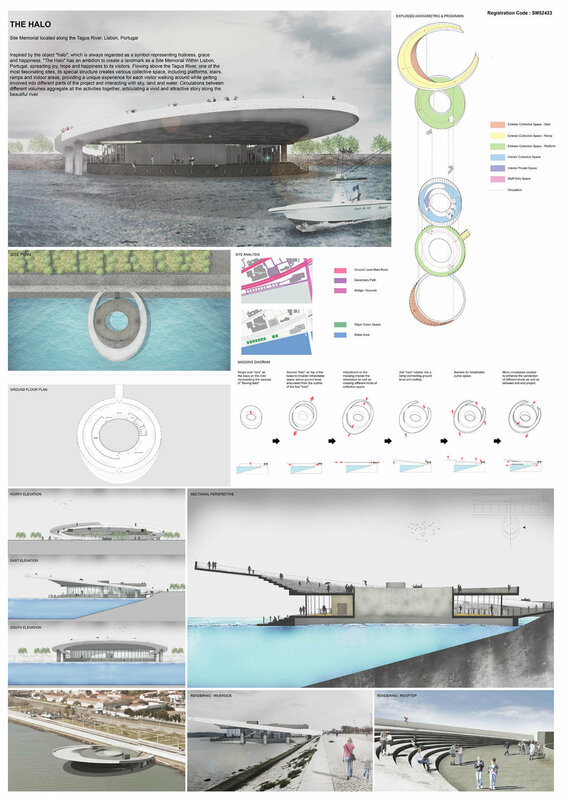 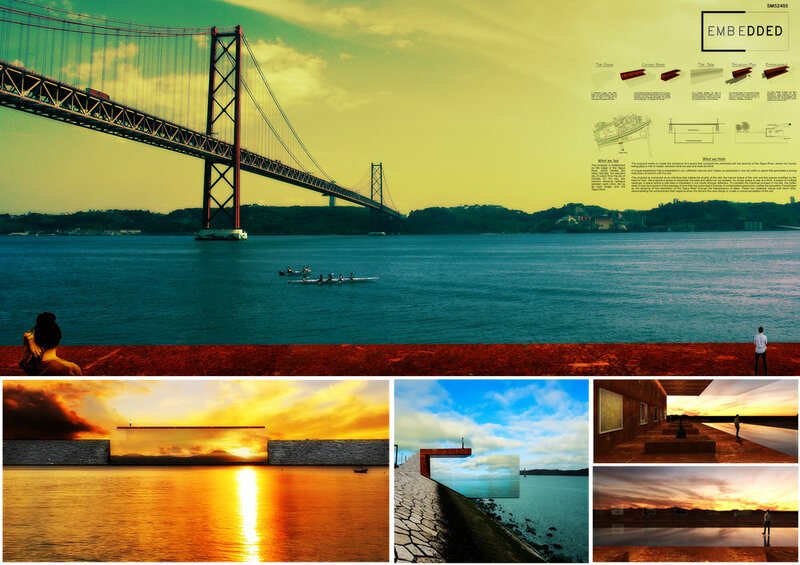 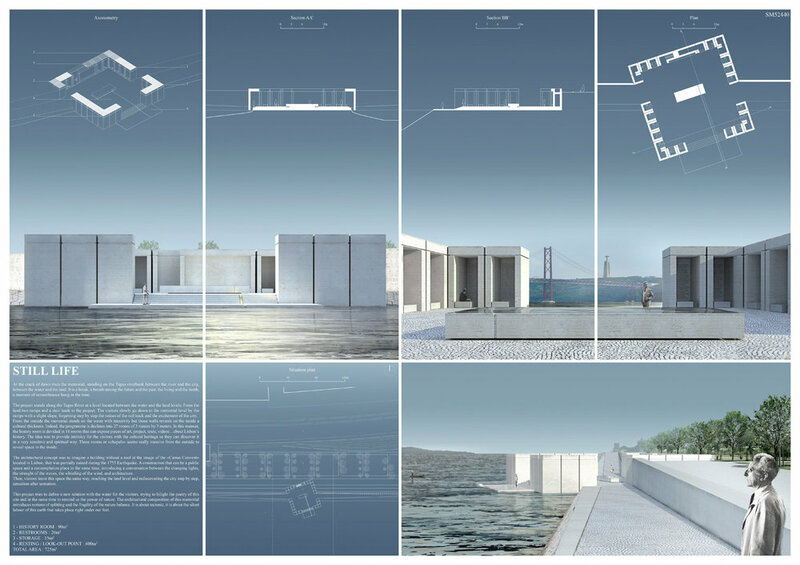 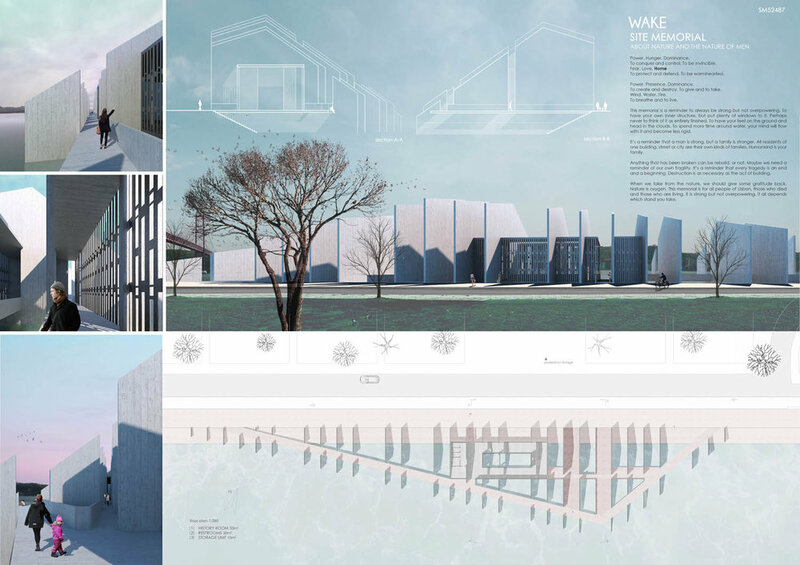 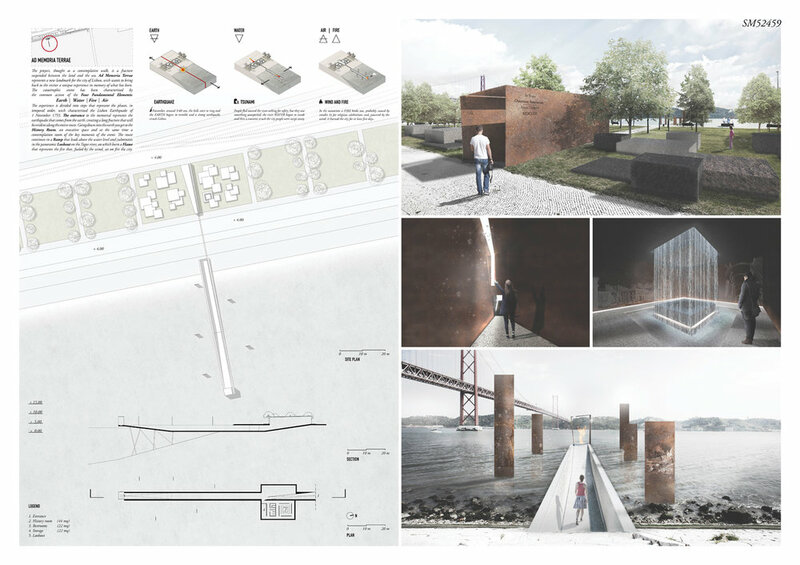 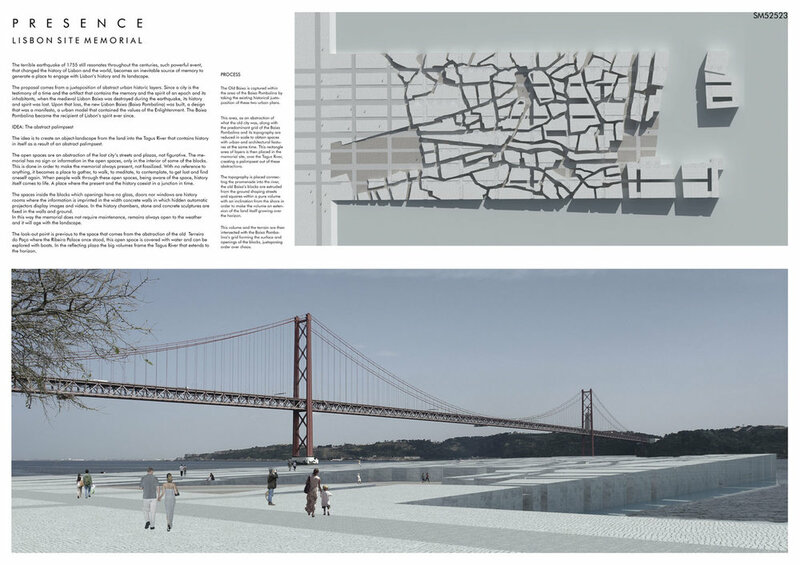 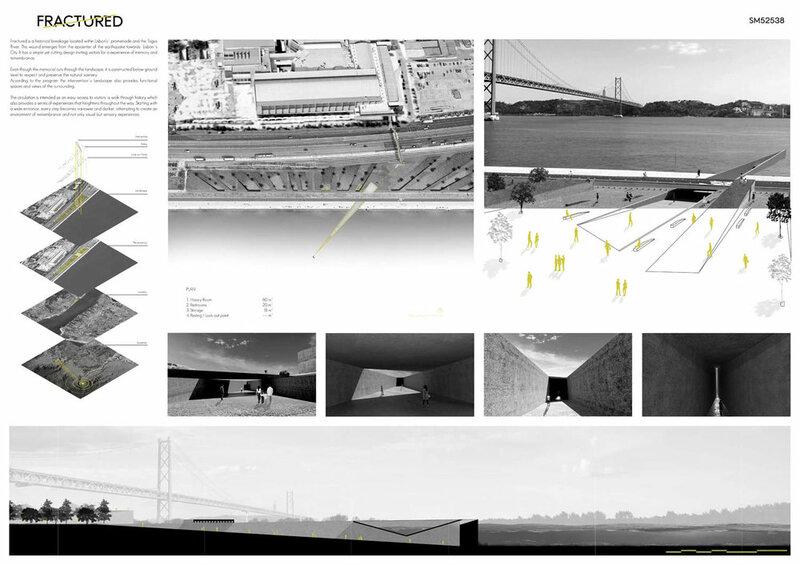 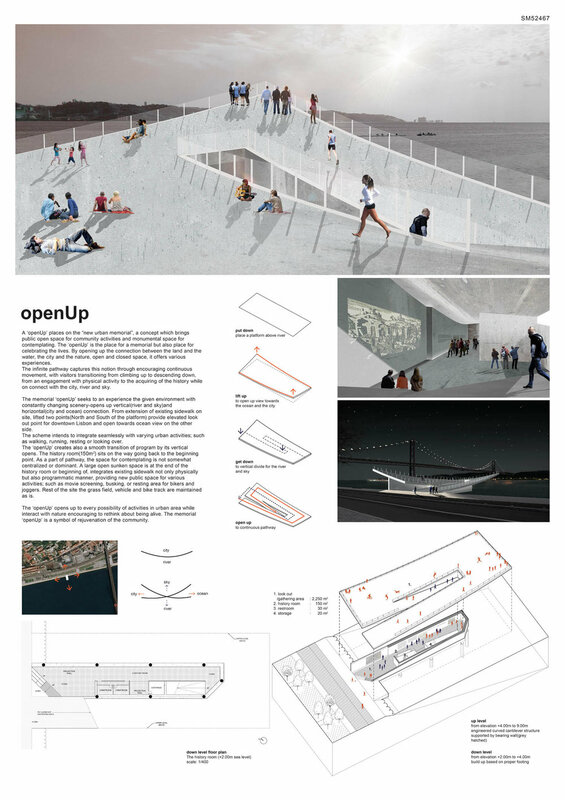 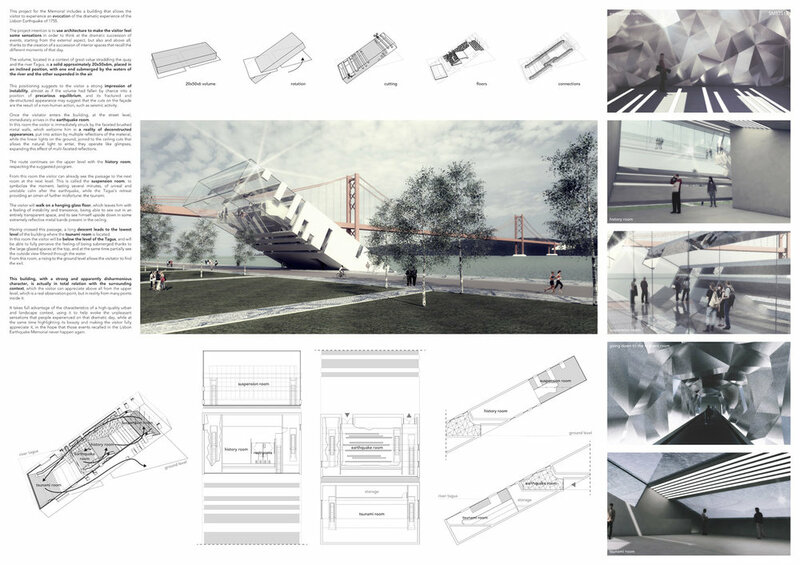 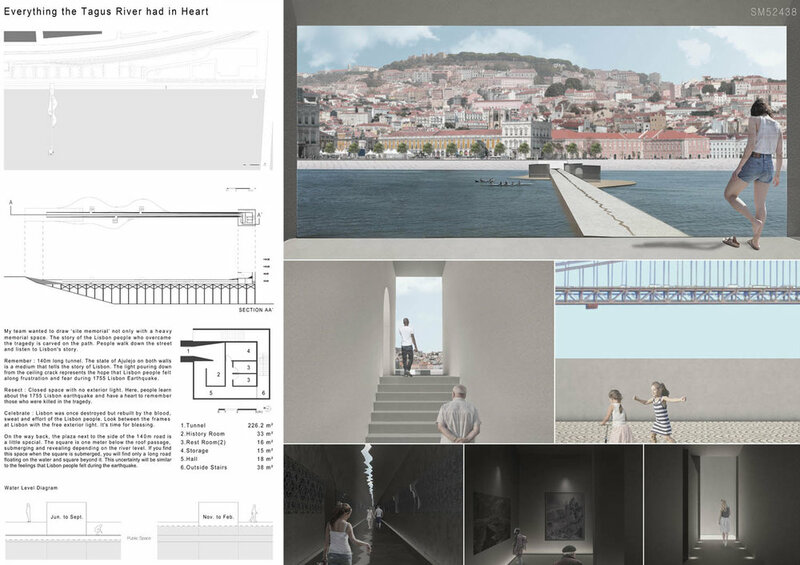 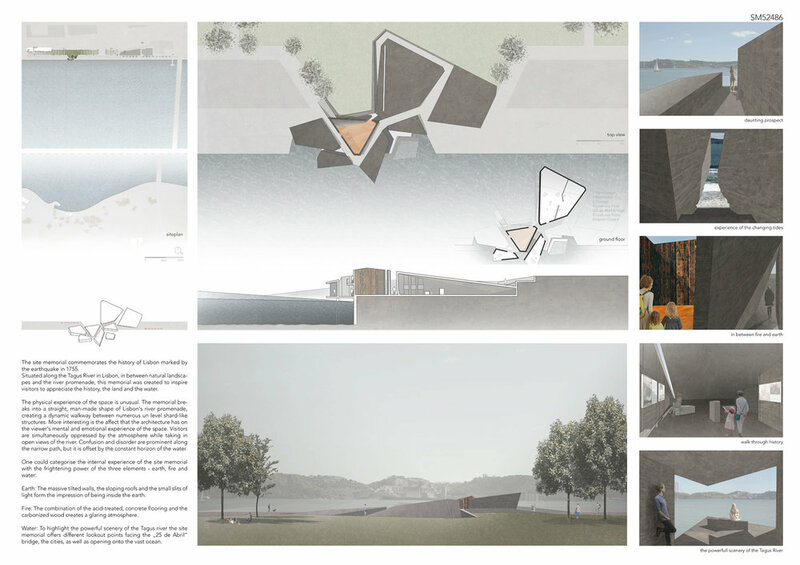 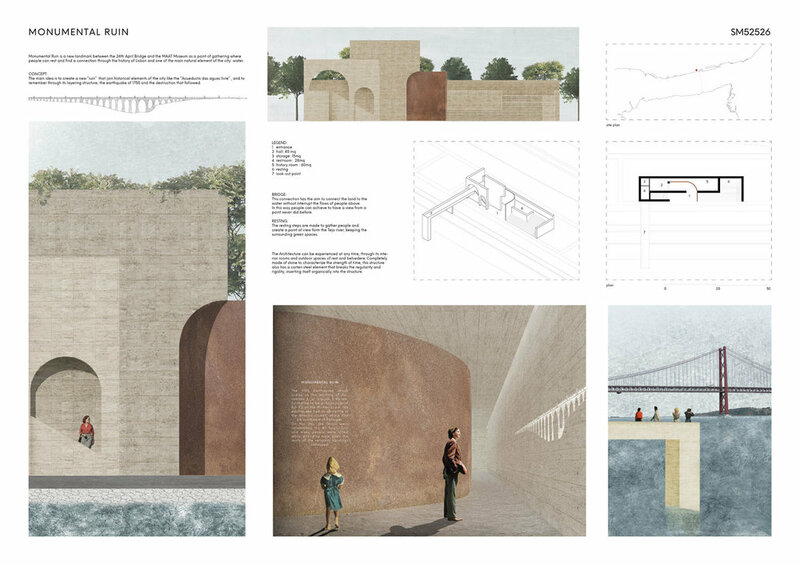 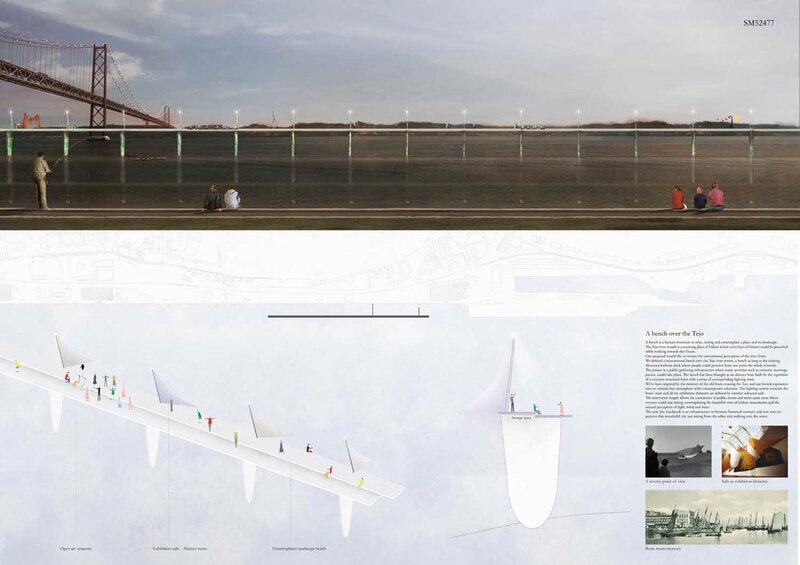 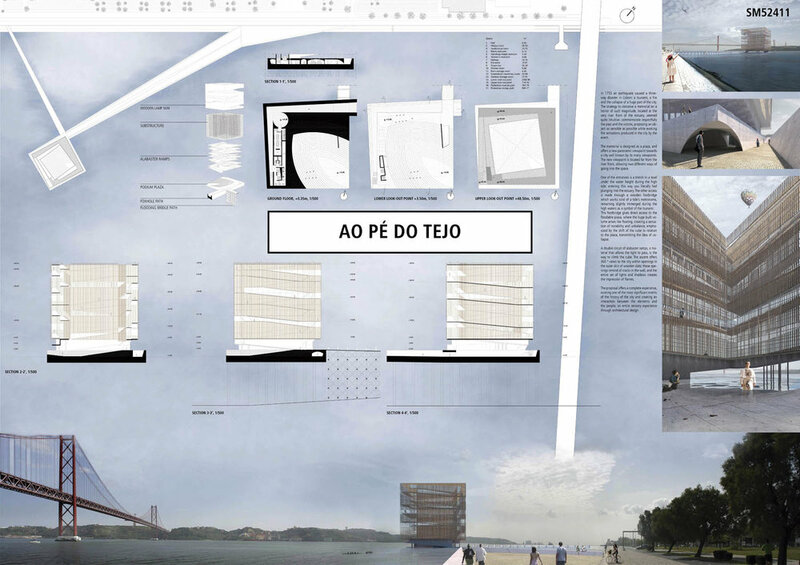 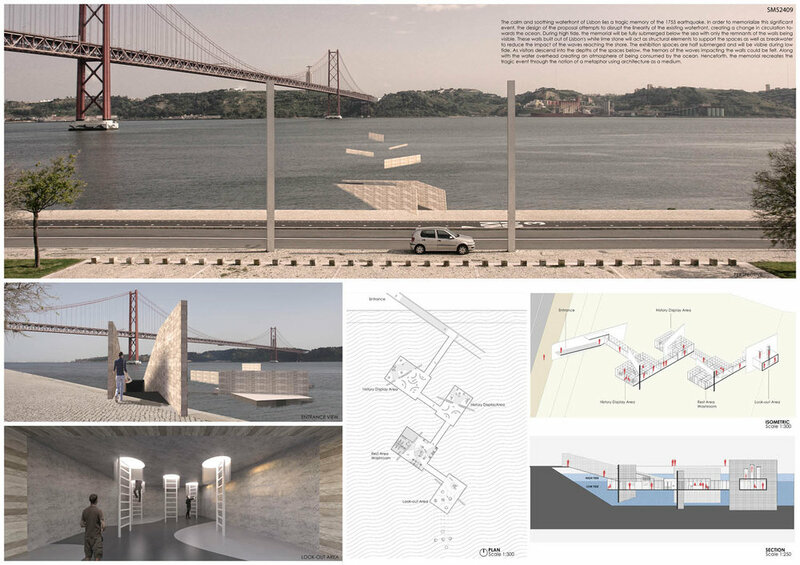 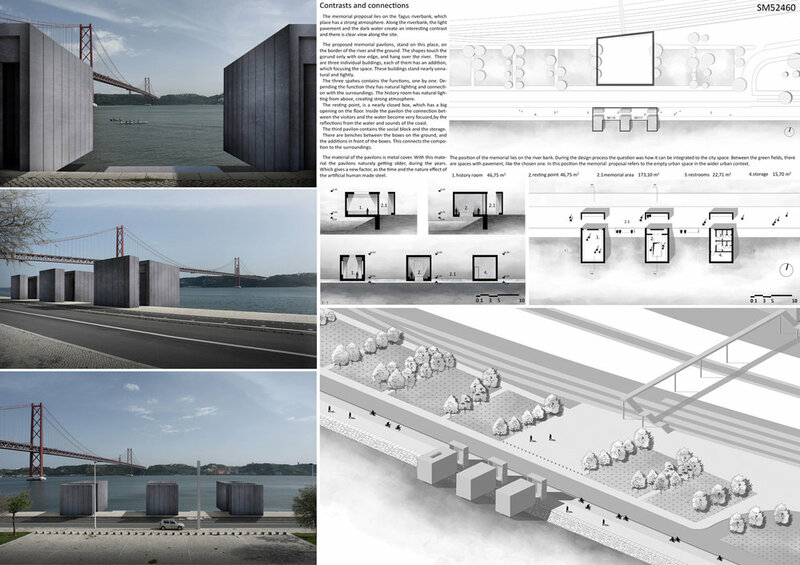 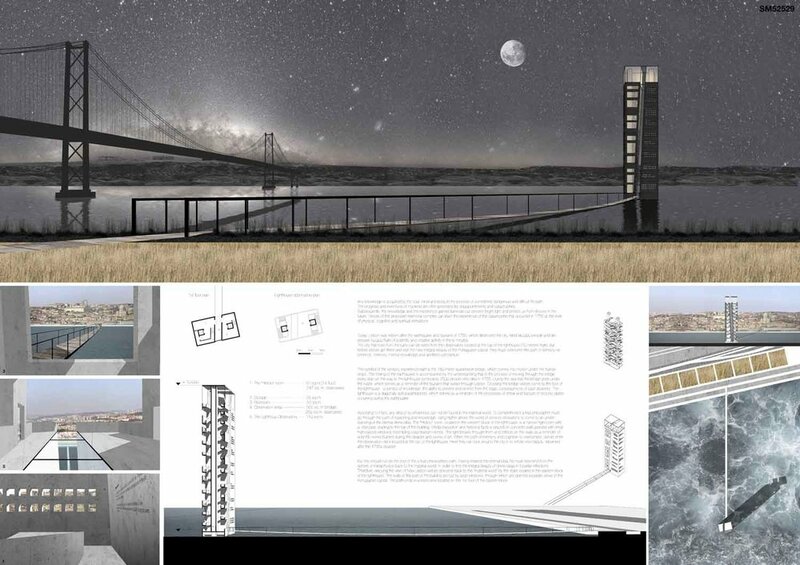 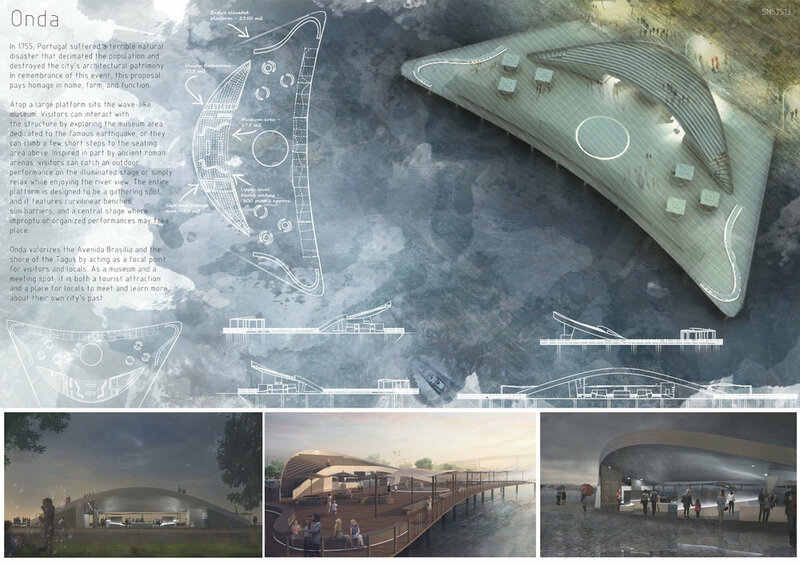 This proposal makes very clever use of the dramatic tidal changes on the Tagus river, creating an inhabitable and ever changing sculptural space. 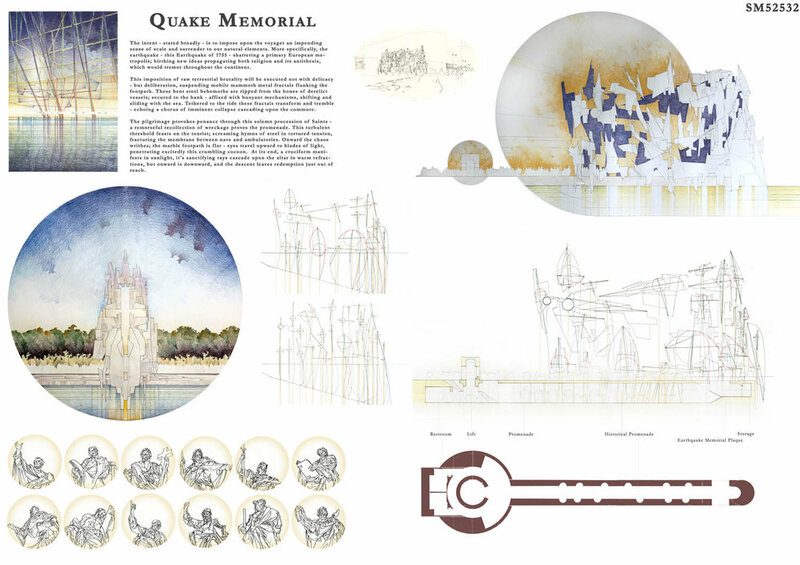 It is Illustrated idiosyncratically but extremely effectively with a beautifully collaged perspective and clear, cohesive diagrams. 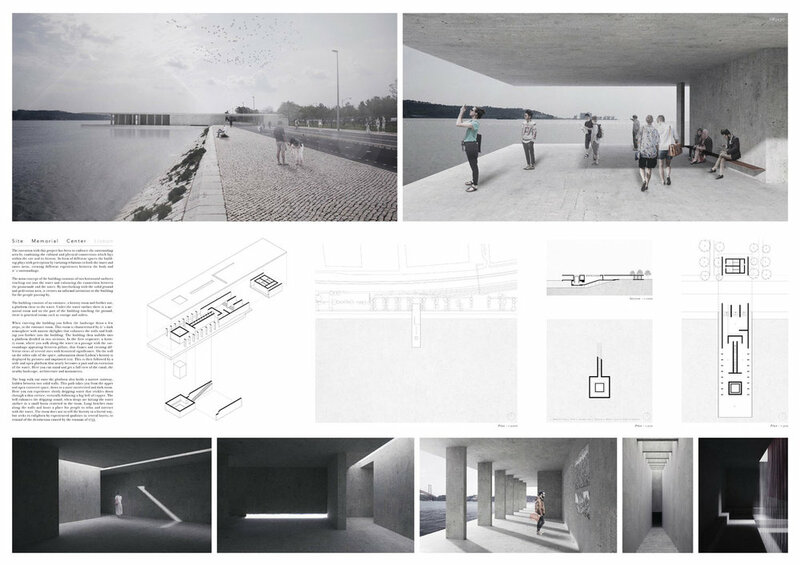 The project contains a multitude of places, rituals, dimensions and scales. 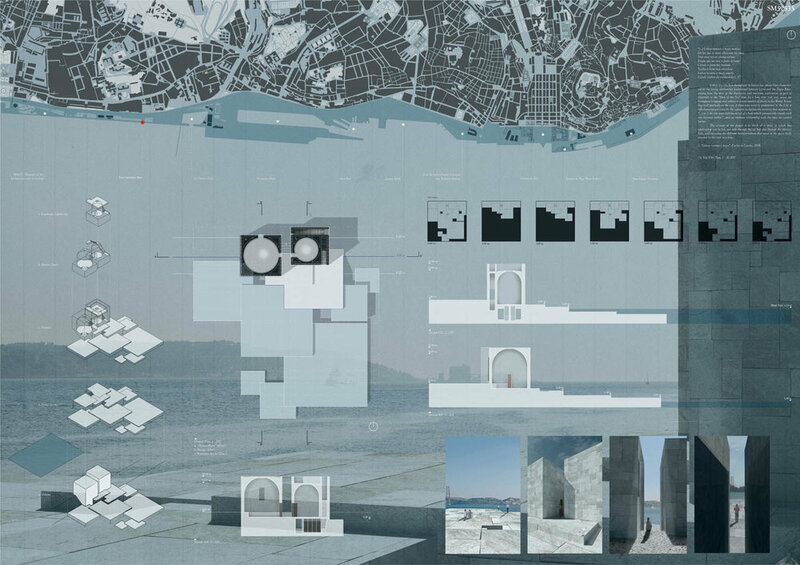 There is the coexistence of “above and below”, “inside and outside”, “small and large”, “monumental and domestic”. 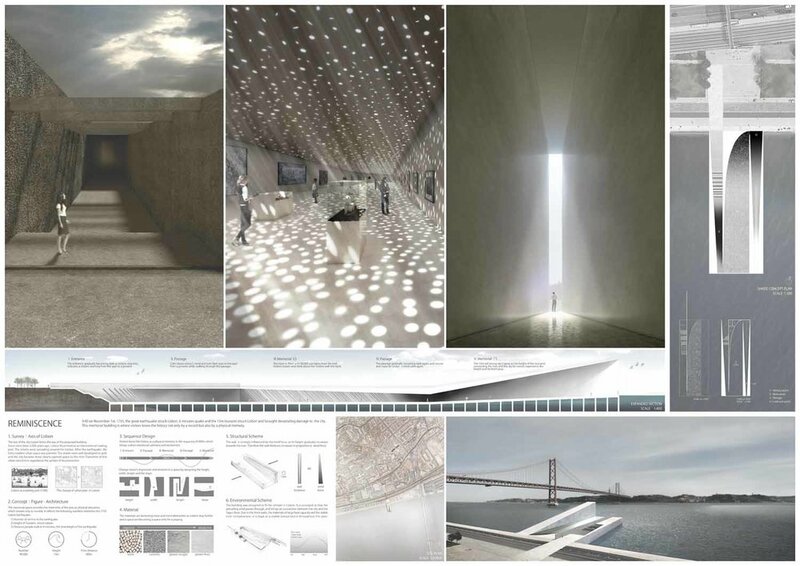 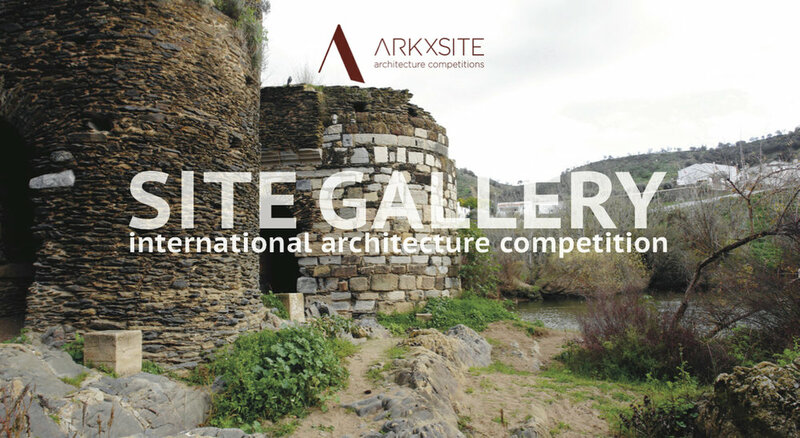 Discovery and surprise are the peculiarities that characterize this precious architecture. 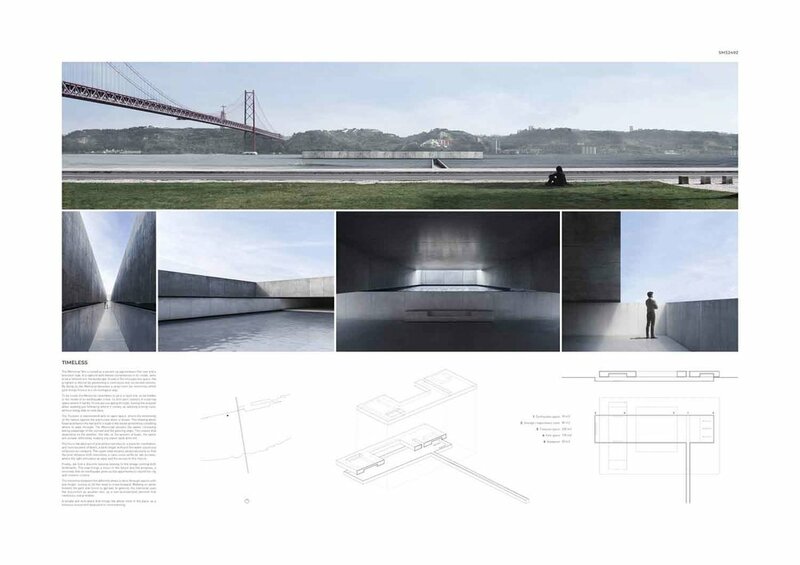 I like it more as an object than an architectural space. 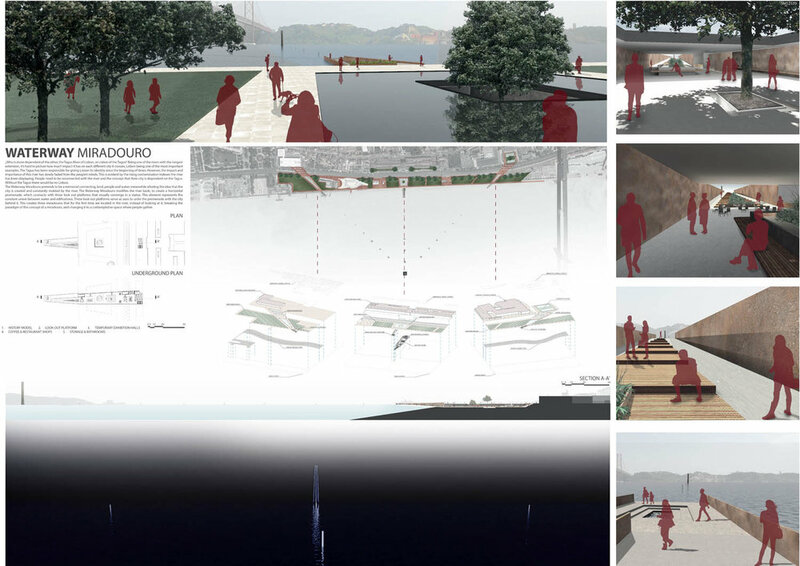 The feeling of standing on a rock in the middle of the water is great! 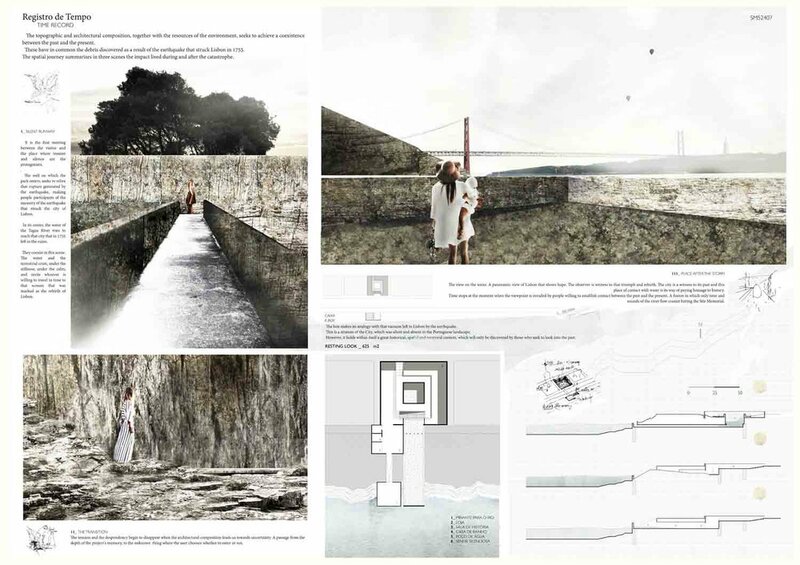 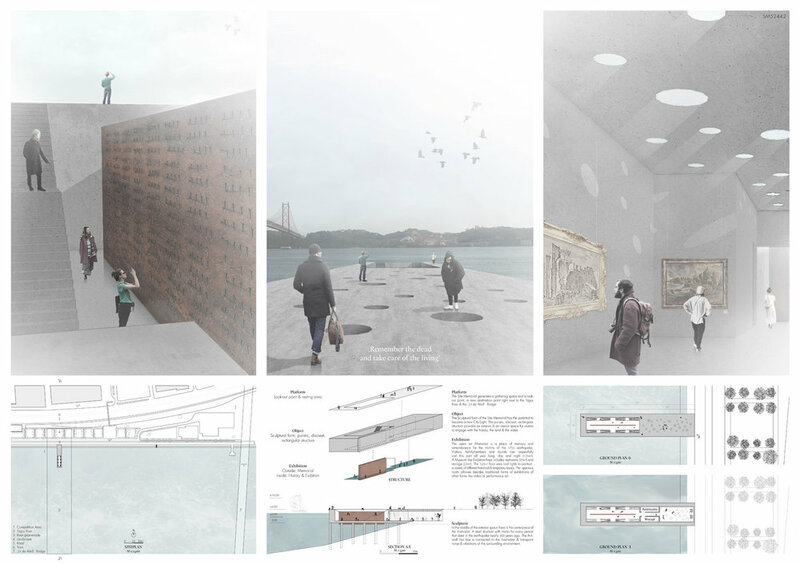 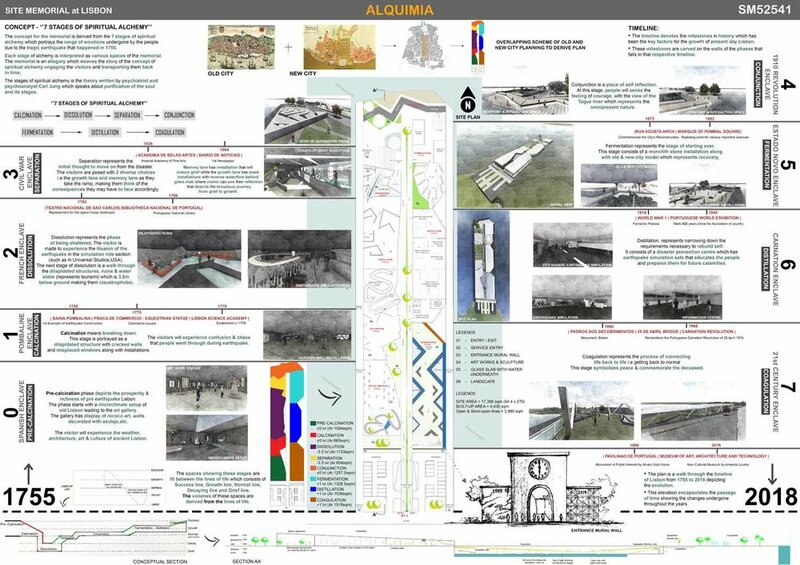 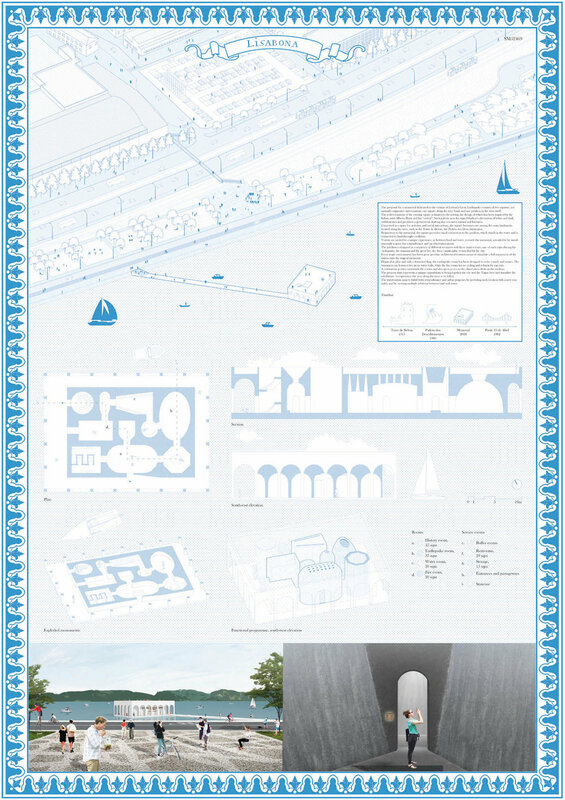 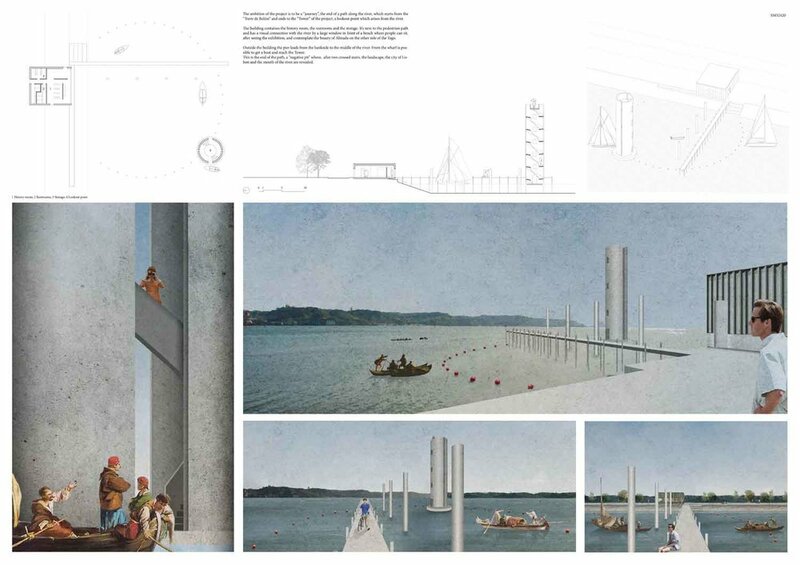 ‘Objeto encalhado’ is a subtle and well developed proposal cleverly building on a language of historic maritime infrastructure. 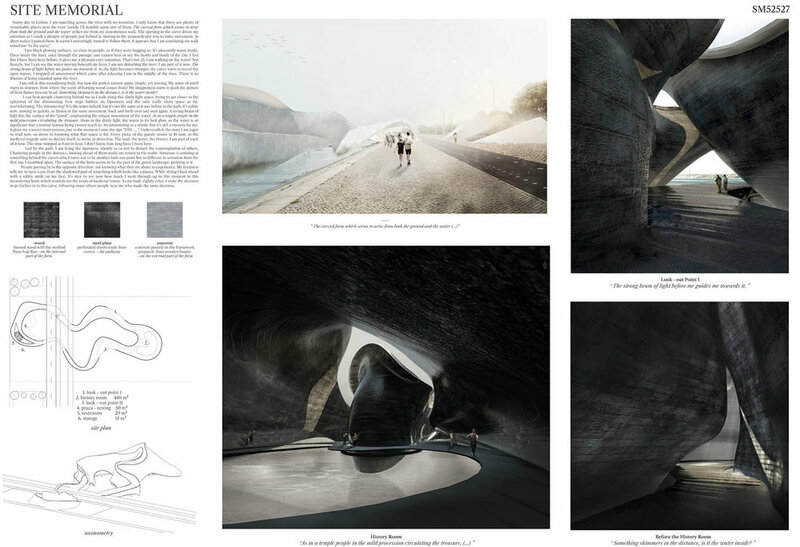 The ‘inhabitable sculpture’ provides a sequence of engaging and architecturally ambitious spaces conveying an appropriate mood of calm contemplation.